Exclusive reinforced rubber pattern under each square of the waffle design prevents pile from crushing in high traffic areas thus maintaining high performance and extending the usable product life. When wet, the rubber-reinforced surface allows water to be wicked to the bottom of the mat, away from foot traffic to provide a slip resistant surface. 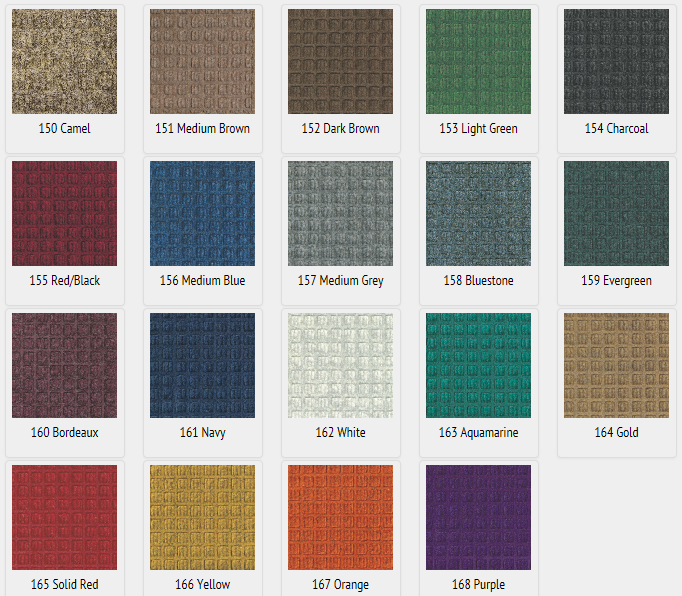 Waterhog Classic Entrance mats are GREEN FRIENDLY - The rubber backing has 20% recycled rubber content. Anti-Static fiber system has a maximum average voltage of 1.6KV as measured by the ASTCC. Mats are safe for use in computer rooms and around electronic equipment. All Waterhog Classic Entrance Mats are Certified Slip Resistant by the National Floor Safety Institute. Waterhog Classic Entrance Mats come out slightly smaller in size, due to “curing” process.